What would Prince Albert think? 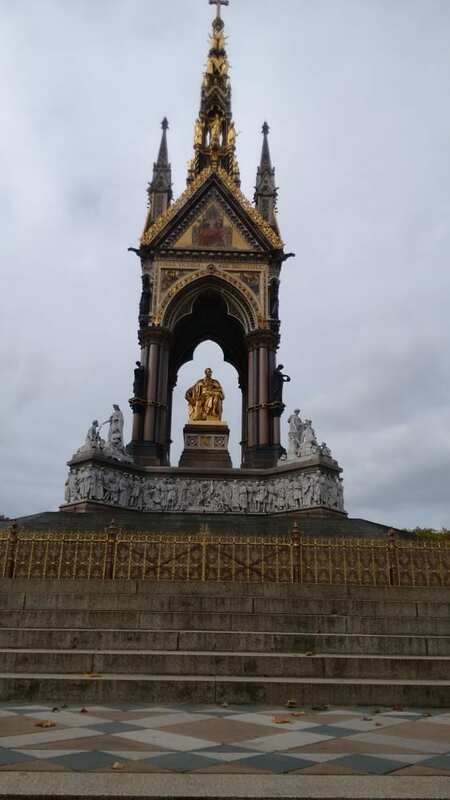 Last Monday, after seeing a Canadian friend who has been living in London for 25 years and a young Italian post-graduate medical student, I wandered through Hyde Park to pause beside Prince Albert. He was seated high above me under a golden canopy, but we were both looking in the same direction, towards ‘Albertopolis’, or South Kensington. It was not easy for the young man from a minor German state to find a role after he married Queen Victoria in 1840. The 18 million inhabitants of her kingdom did not warm to a German princeling from a state the size of an English county. In recent films and TV series on Queen Victoria he still plays a minor role. There seems to be more interest in Victoria and Mr Brown or Victoria and Abdul then Victoria and Albert. Aged 42, he died too young – and maybe she lived too long afterwards. So I stood beside him, seated far above me and together we contemplated the amphitheatre-like Albert Hall surrounded by three sides of a square, part of a town-planning scheme for Kensington. He was one of those behind the 1851 Great Exhibition of the Works of Industry of All Nations that took place in Hyde Park. It was the first international exhibition of its kind. The prince and his committee planned for it to be self-financing, but it made a handsome profit. One third – six million – of the country’s population visited the ‘Crystal Palace’, as the new-style temporary glass building was called. It was Prince Albert’s idea that the money should be used to found the Victoria and Albert, Science and Natural History museums in a new museum quarter, as well as an institute of learning – Imperial College, now a university in its own right. He also wanted a great hall, though the Albert Hall was built after his death. Would he consider the money well spent? I walked towards the nearest tube station with Prince Albert in my thoughts. On the left we passed the Victoria and Albert Museum while on the right there was buzz and excitement as students flowed in and out of the university buildings. It was the first day of term. I sat down in the Victoria and Albert Museum and checked the current top ten universities in the world. Imperial College is there and has the highest percentage of foreign students, like the post-graduate medical student I had met for lunch. Prince Albert from Germany would have approved. He too would have been concerned that the funding from the EU 77 billion euro research and innovation programme for 2014-2020, Horizon 2020 would be withdrawn from the UK after March 2019. Great discoveries depend on collaboration. What effect would this have on scientists based in the UK? What consequences for Prince Albert’s vision for the arts and sciences as he contemplates the great institutes he founded in South Kensington? And all those foreigners, like himself, now studying or living in the UK after it leaves the EU? OMG! I was in London last Monday as well…having dinner with a college friend whom I hadn’t seen in 48 years! We probably crossed the same streets and walked the same boulevards! Another friend was in Wales at the same time I was but we didn’t know each other was there! How lives pass, cross, intersect…all without us knowing! What a shame! So sorry to miss you. Keep in touch with your news, please. Jan. do email me before you retun to London so we can meet. Keep in touch.